Shout out to the Einsteins of organization. 1. A wooden storage box that'll hook onto your bike and make the garage-less lifestyle look a bit more glam. 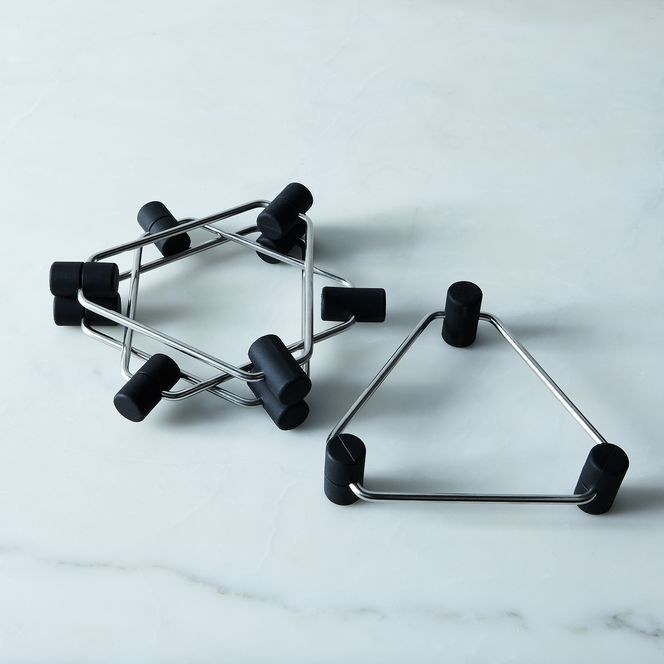 Get it from CB2 for $49.95. Or, why not try our tutorial for DIY-ing your own wooden bike rack? 2. A toilet paper shelf as a proper resting spot for your phone while you take care of business. 3. A classy match holder that doubles as a striker. Get it from Food52 for $48. 4. 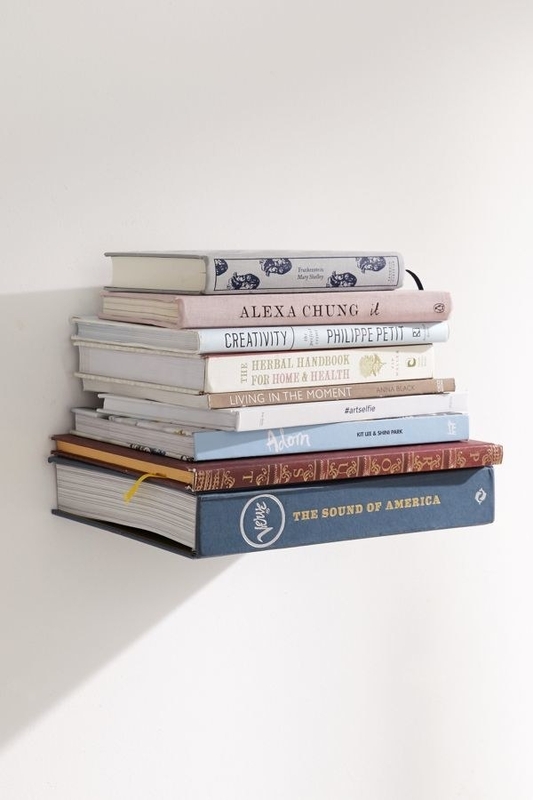 A floating shelf — with an emphasis on the "floating." 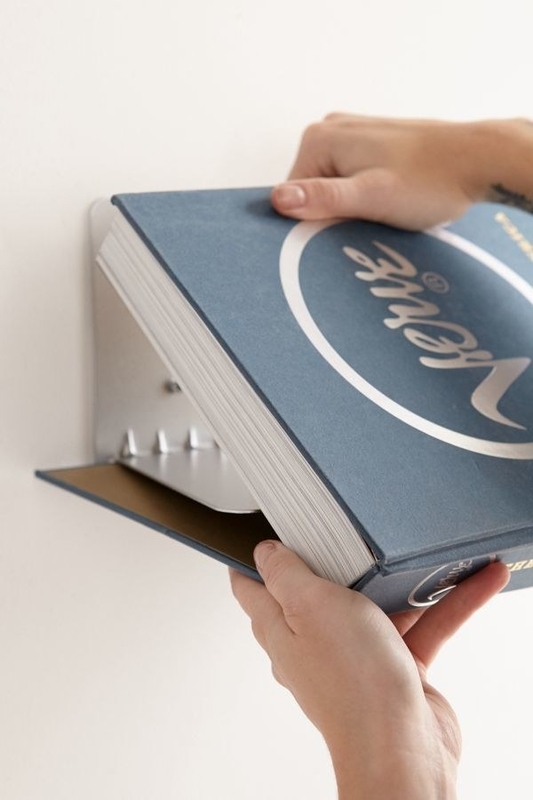 This one actually conceals every trace of hardware to create the illusion of levitating books. Get it from Amazon for $12.48+ (also available in sets of three for $29.95+) or Urban Outfitters for $16. 5. A space-saving outlet shelf that's perfect for propping up your home speakers while you bathe. 6. A garage door rack designed to hold all your fishing rods and/or gardening tools that would otherwise be tossed haphazardly in a closet. And yes, if you were wondering, you can still raise and lower your garage door while it's in use. 7. 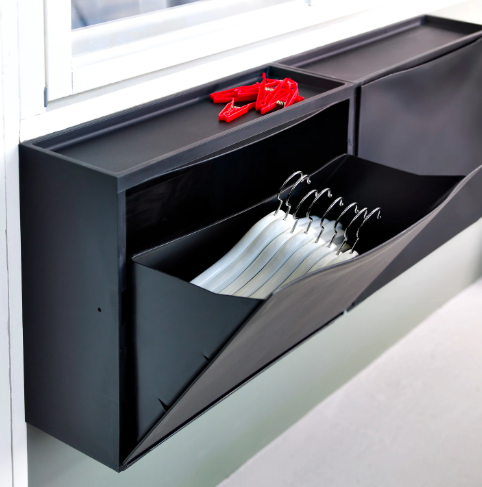 An over-the-door pocket organizer that'll actually make use of all the surface space your room has to offer. Get it from Walmart for $15.38. 8. A plastic bag and bottle dryer that can be folded up and stored inside a drawer or hung from the eyelet dowel when not in use. 9. A wall hook you'll be at peace with using. Get it from Of a Kind for $28 (available in four colors). 10. A dish and hook to drop your essentials in when you come home from work (a sliding piece attached to the back mounts directly onto the wall). Get it from Scandinavian Design Center for $46+ (available in five colors). 11. A leaning ladder you can use to hang throws, scarves, belts, and other accessories on without looking like a total mess. Get it from Amazon for $50 (available in white and black). 12. A tip-out tray for your cleaning supplies, if you have those false drawers under your sink that aren't pulling much weight. Get it from Amazon for $17.55+ (available in two sizes). 13. An upright spiral fruit basket that'll give you art *and* smart vertical storage in one shiny package. Get it from Amazon for $33.73 or Wayfair for $36.99. 14. 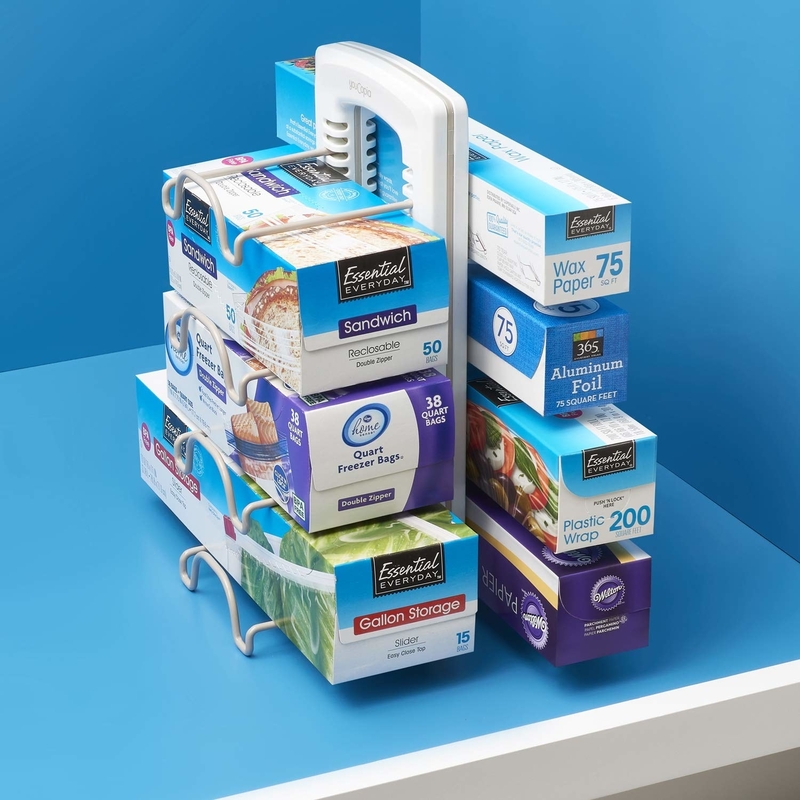 A magnetic organization rack, for when you've used up all your shelves but still need a spot for your paper towels, and odds and ends. 15. A collapsible storage bin, if you've bin there done that with clunky and bad storage containers. Get it from MoMA Design Store for $10+ (available in two sizes and six colors). 16. A washer-friendly sock organization system (equipped with clips and locks), because your least favorite part of doing laundry — hands down — is scavenging for lost mates. 17. A wall-mounted drying rack that's pretty darn discreet for being attached to your wall. Get it from Pottery Barn for $49.50. 18. Or, a hanging three-tiered drying surface if messing with hardware is a hard "no thank you." 19. A nursery organizer and diaper caddy, so everything can be within arm's reach when disaster strikes. Get it from Amazon for $24.92. 20. A punching bag–shaped laundry bag, because if you're mad about having to trek to a laundromat, you might as well channel that anger into something productive (like, say, your burgeoning boxing career). 21. A "Rebin" — that's a 100% recycled plastic bin for your recycling — to make your paper corner as tidy as possible in the lead-up to recycling day. Get it from MoMA Design Store for $48. 22. A magnetic wall pocket strip — a creative alternative to the traditional shelf — that'll hold your photos, bills, or keepsakes. 23. A wacky cotton-rope basket with a handle that can also function as decor. Get it from Ugly Rugly for $50+ (available in four colorways). And shop the whole collection. 24. A slide-out storage tower, if you've ever wondered what to do with that oddly narrow space between your washer and dryer. Get it from Amazon for $23.60. 25. A set of plates with built-in slots to hold your stemware, so you don't have to worry about losing your champagne glass at the next function. Get it from Amazon for $36.99 (for four). If you have a bigger appetite (and budget) you might consider a set from Food52 for $42+ (available in three colors). 26. 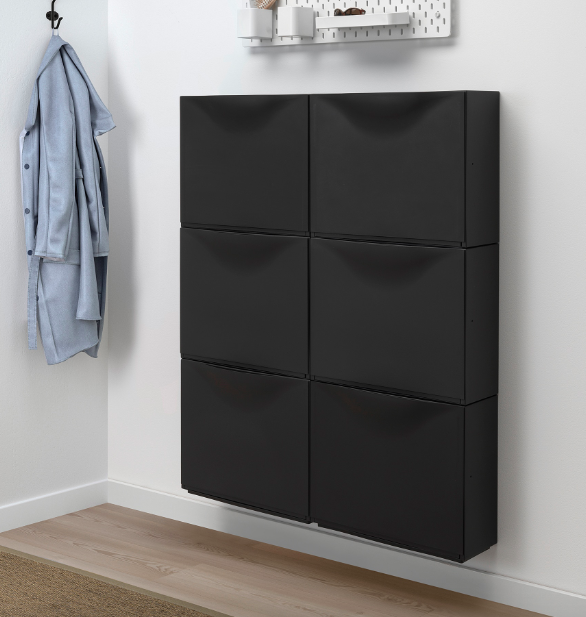 A wall-mounted shallow cabinet that's ideal for holding your shoes if you're not super fond of displaying them on a floor rack. Get it from Ikea for $24.99. 27. 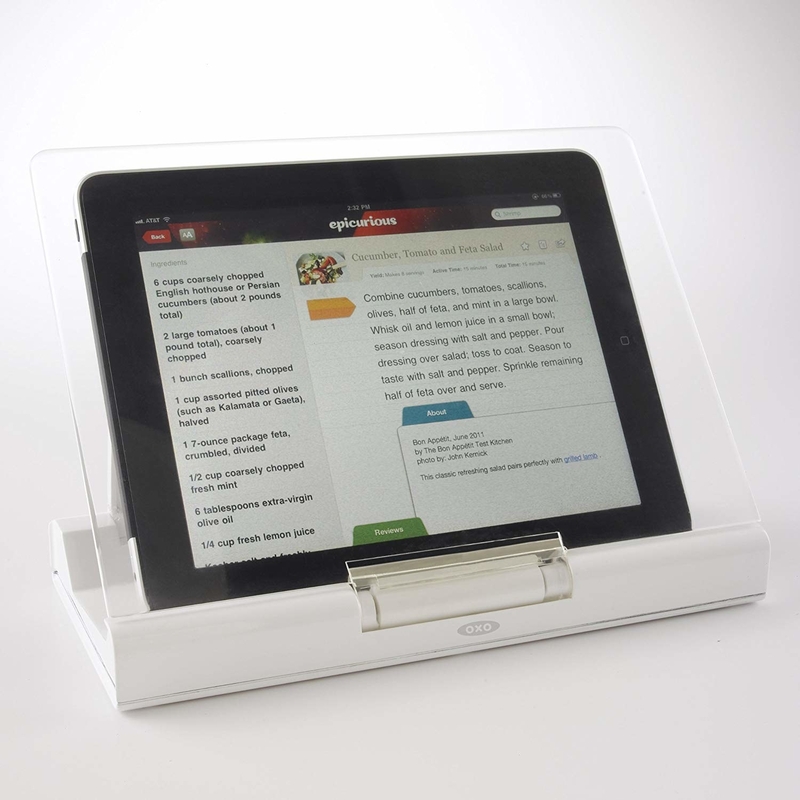 A splatter-proof cookbook stand that beats using a bowl as a makeshift paperweight to keep your book open on the right recipe. Promising review: "This is one of my most used kitchen 'tools.' I have always used cans or other random objects to hold cookbooks open until I finally decided to get a cookbook stand. I did a bunch of research before finally landing on this one due to its cost, reviews, and the fact that it breaks down and can be stored. I've been using this for almost a year and still absolutely love it." —Christina D.
Get it from Amazon for $22.01. 28. 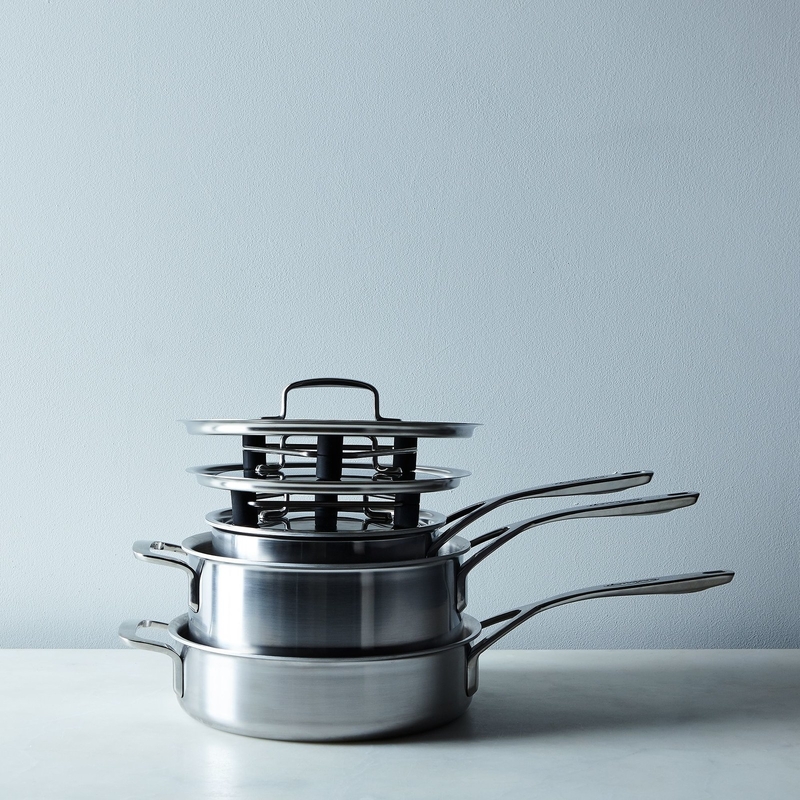 A set of "lid masters" to snugly stack all the stray lids cluttering your kitchen cabinets (and falling on you every time you open the door). Get it from Food52 for $40 (for a set of four; also available in sets of six and eight). 29. A set of magnetic spice jar dispensers, so you'll never have to ask where the salt went ever again. Get it from Amazon for $8.95+ (available in sets of 3, 6, 12, and 24). 30. Or, a spice rack drawer organizer if you prefer to keep your spices concealed (but still perfectly tidy). Get it from Amazon for $12.99 (for a six-pack). 31. A bed for your kitchen sponge, because even your trusty plate scrubber could use some back support. 32. A pack of Q-hooks — a literal twist on the classic S-hook — so your clothing actually stays put on the rod when you go to grab an item. Get them from Nak Nak for $18 (for three). 33. A two-tier storage shelf that'll teach you to stop cutting corners and use your kitchen corners. 34. 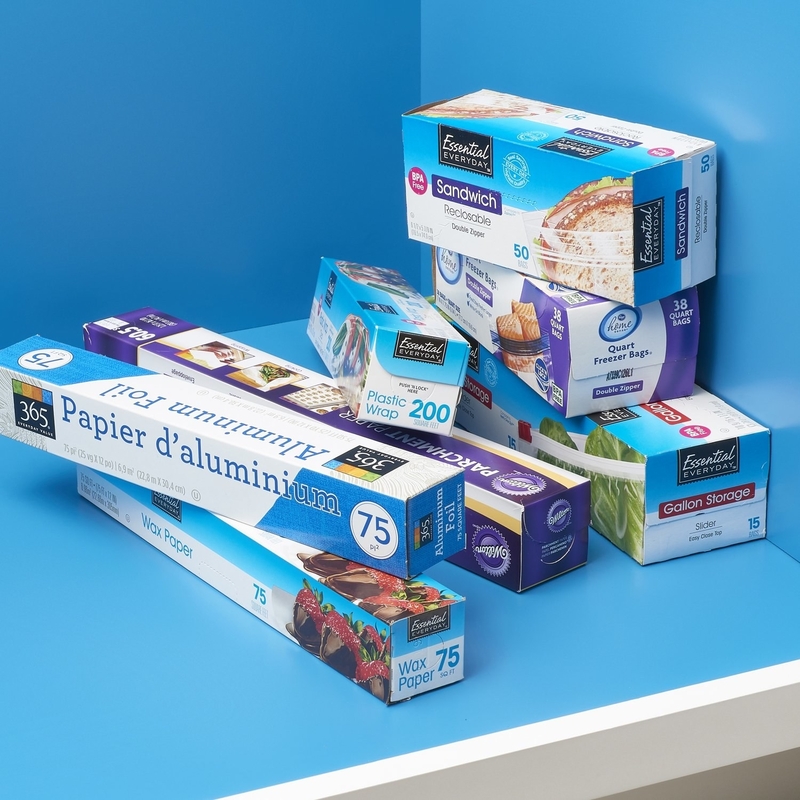 An adjustable wrap stand, because maybe up until now you thought the only way to store your foils and plastics was in a pile? 35. A sheep toilet paper holder that'll also hold your guest's attention, probably. 36. 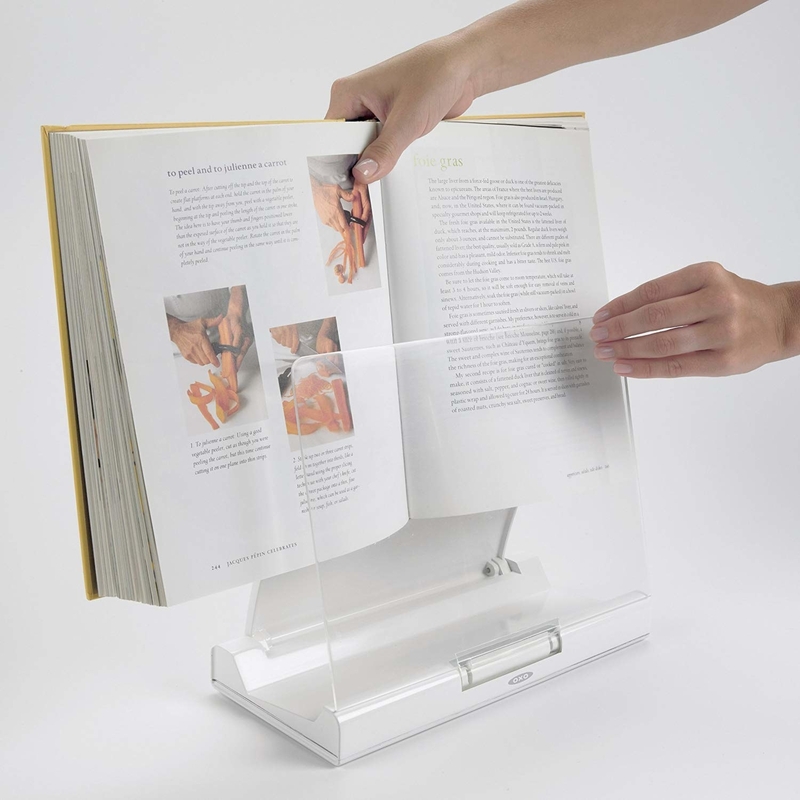 And an acrylic collator bookend that, in addition to propping up your books, can also hold papers and folders for you in its built-in slots. Get them from Food52 for $48 (for two). And check out these other amazing bookends you'll want to add to your shelf immediately.